Now here are your bonus goodies. Here's your workbook! I've also sent it to your email. Keep an eye on your inbox cos I'll also be sharing 3 exercises you should do before you start writing a word of your website -- including your About page! One of my tips that you'll soon get in your inbox is the different ways you can repurpose your new About page to create a tribe of raving fans. One of these tips is to use the copy for your About page in your welcome sequence when someone signs up to your email list. Don't have an email marketing service for list-building? I'm giving you 1-month free of ConvertKit if you sign up using the link below. And if you find that it's not a great fit for you, you can cancel at any time! 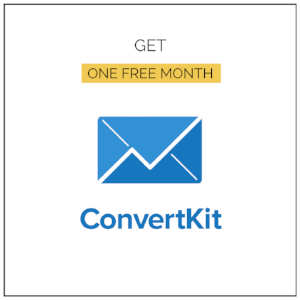 Get one month free of ConvertKit HERE. Did you like the Workbook? Then become an affiliate to earn money for every copy you sell! When you become an affiliate, you'll get access to swipe copy, scripts & social media graphics to make it super easy for you to promote the Workbook. You'll automatically earn 50% for every workbook that is purchased through your affiliate link! To become an affiliate, sign up HERE. And if you've got any questions at all, send me an email!